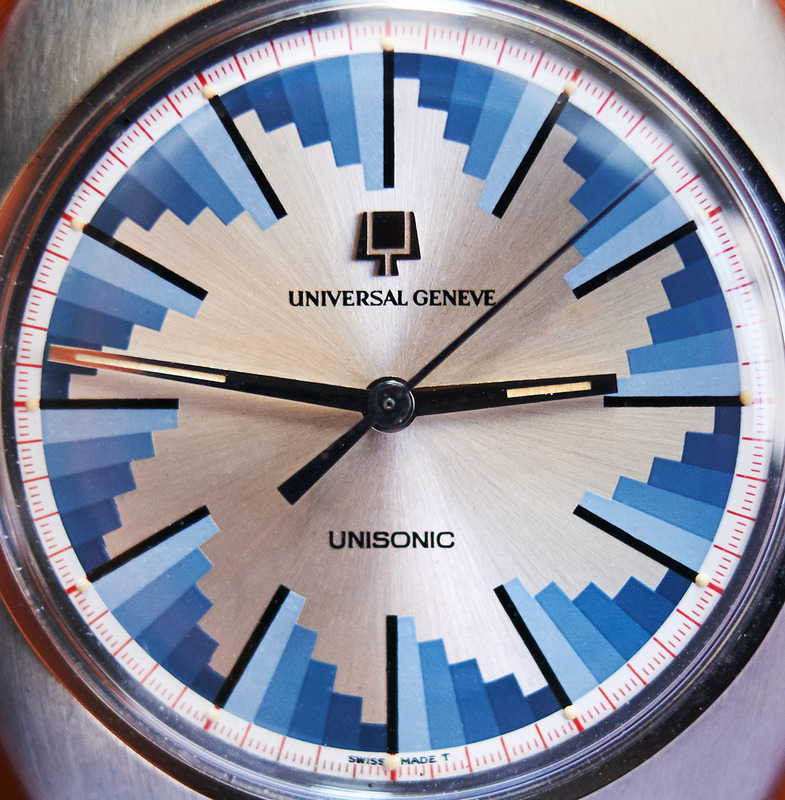 NOS Unisonic with exotic dial from the 70´s. 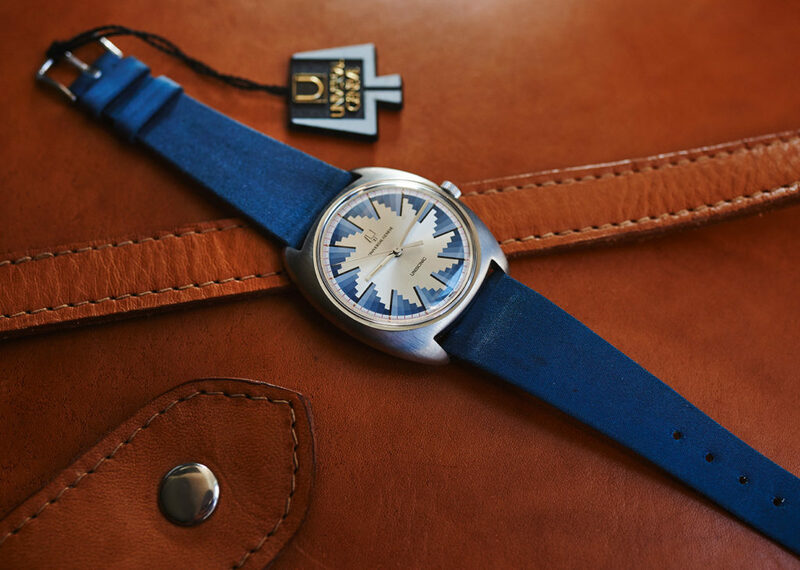 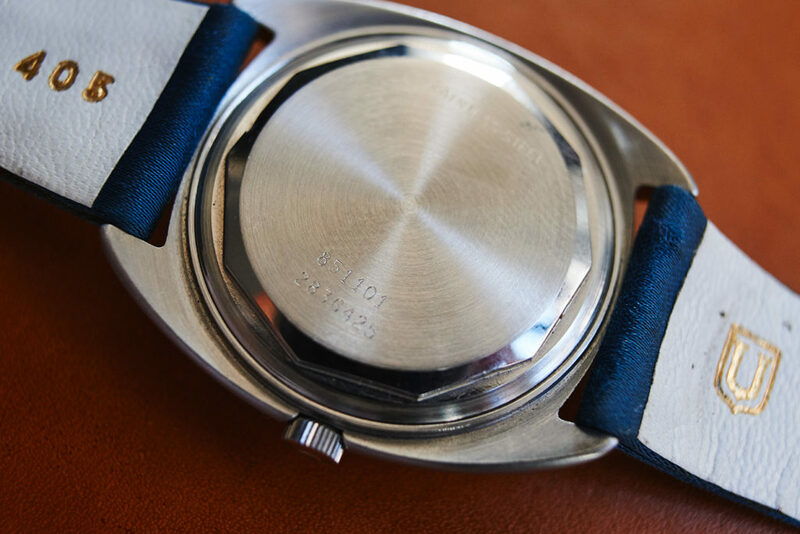 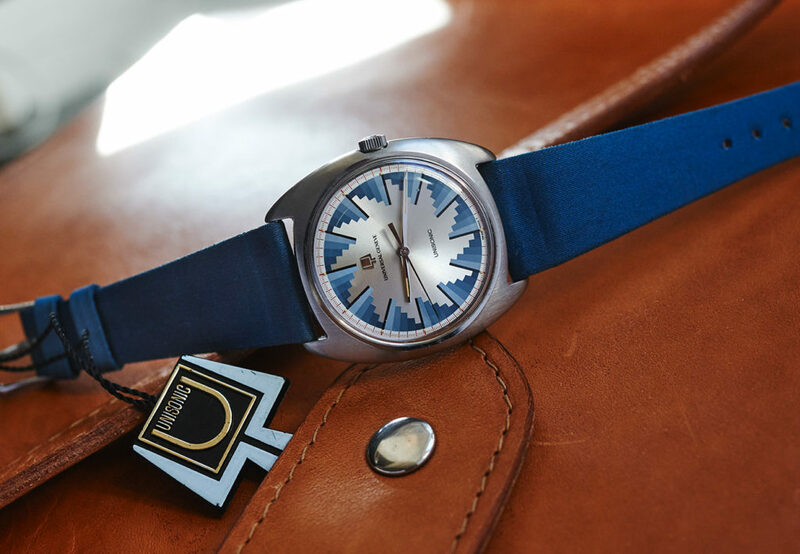 The watch comes directly from the first owner and just shows some little signs of storaging in the safe for decades, but is totally untouched, unpolished and unmolested. 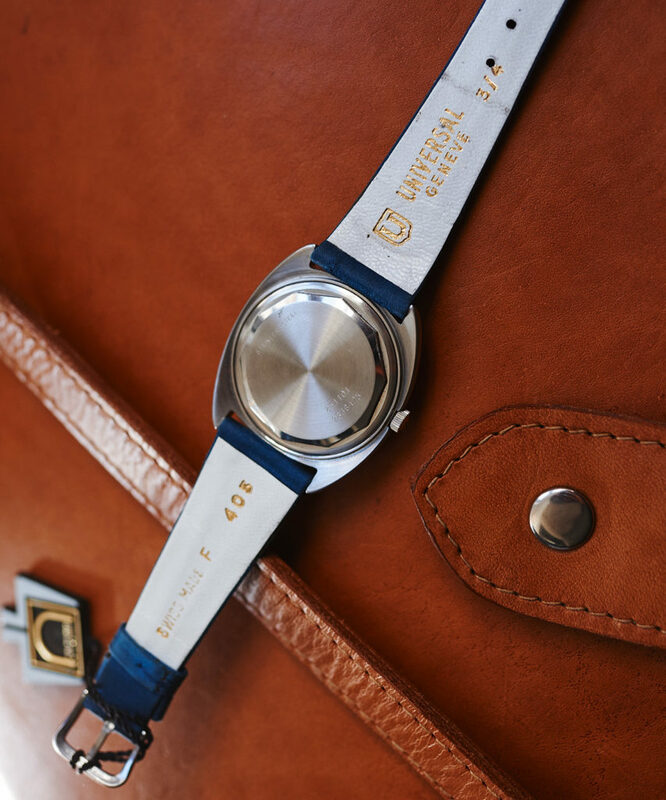 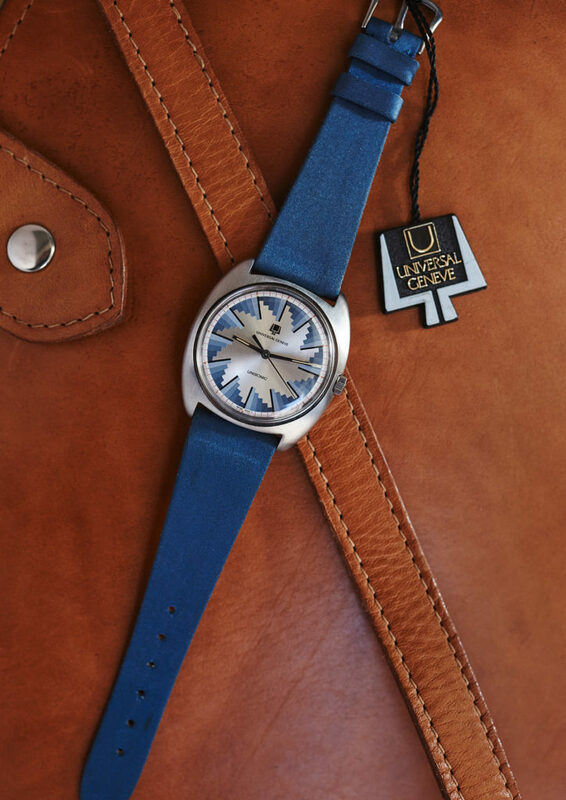 The 2-52 caliber of this 36mm watch was tested by our watchmaker and runs perfectly. 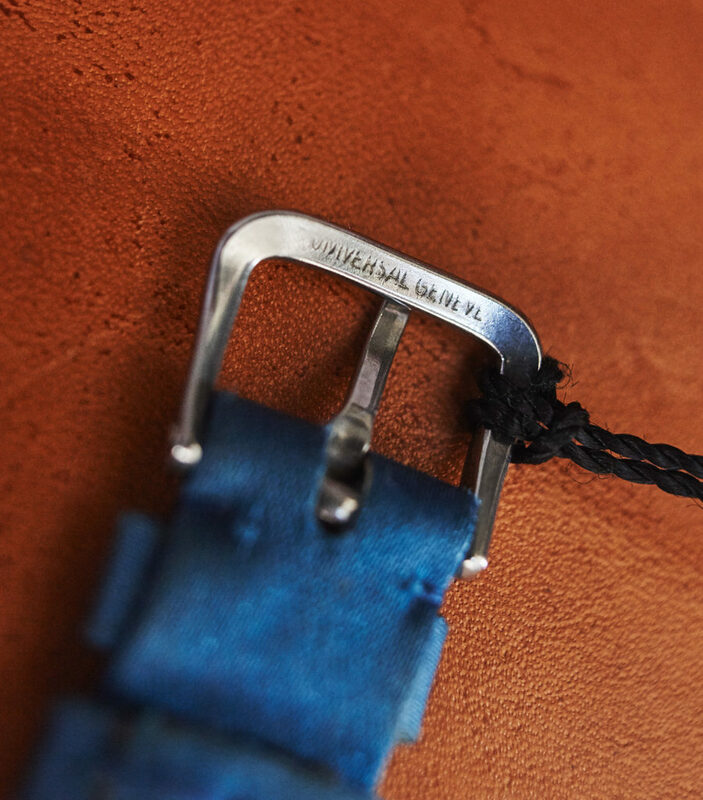 It comes on the original UG denimstrap, UG buckle, still with the UG hangtag on it.